Visit our Flayvors Web Site with complete information about Flayvors! 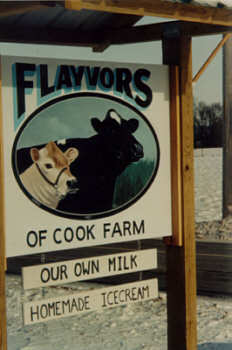 Flayvors of Cook Farm on South Maple Street in Hadley invites you to stop by and enjoy the hospitality of a fifth generation family dairy farm. 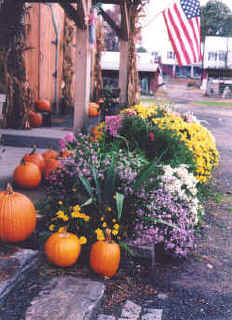 The farm owned by the Cook Family since 1909 features both Holstein and Jersey cattle. Now the Cooks wish to introduce to you, Flayvors, where you can experience the taste of homemade ice cream with over 24 flayvors to pick from. There are cones, sundaes, or frappes to enjoy here or take home a hand packed pint or quart. Also available are light lunches- fresh salads, deli style sandwiches and delicious baked goods. These are our general store hours, but please feel free to call the store to be sure we're open before you come. Click to visit our Flayvors Web Site with complete information about Flayvors!